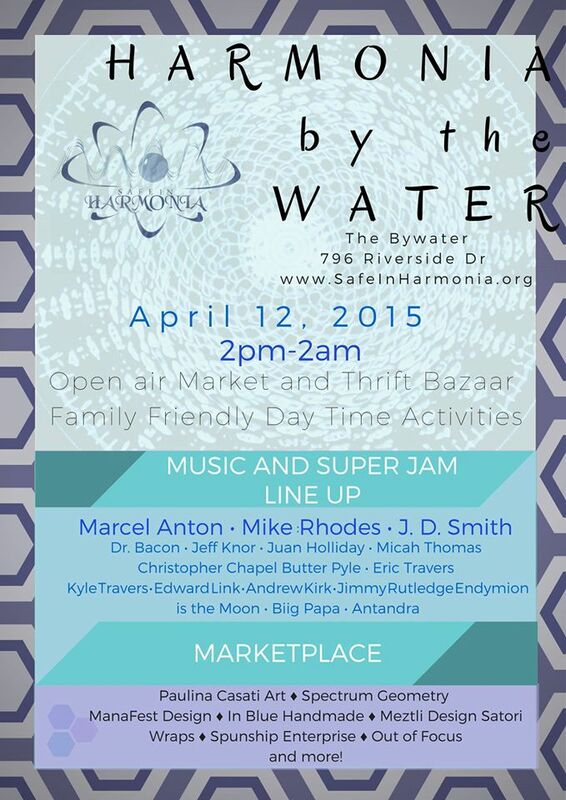 Safe in Harmonia is hosting a fundraiser event at The Bywater in West Asheville. Support us in our effort to create a support service that promotes health and safety, as well as provide compassionate care and space to patrons of festivals and events. Check out the Harmonia space, which will be set up to offer the community an example of what we offer at events. when it switches to 21+. And la st but not least, check out the Harmonia Bazaar! We will be collecting gently used clothing and other items from the community to sell at our Harmonia Bazaar. Before you donate to Goodwill, consider donating to us. Bring your families! Bring your dogs! Bring your smiles!